Most of you would probably have already bought this product. 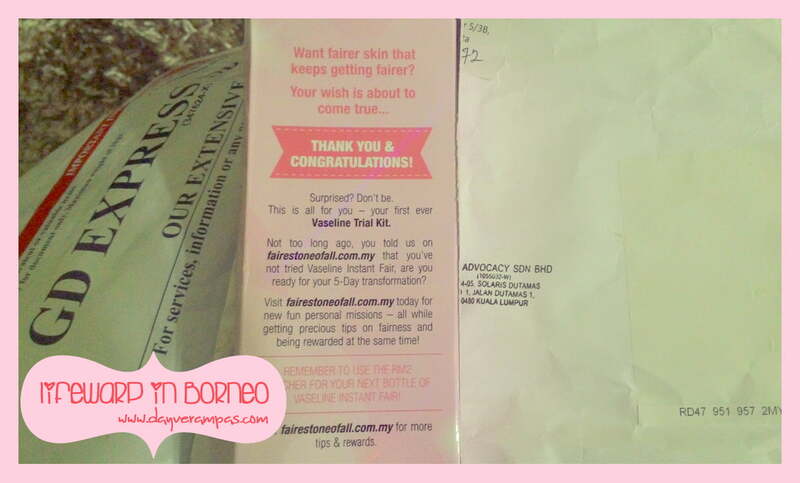 Yet, I still would like to write a review about this product after receiving this sample kit from Vaseline Malaysia. 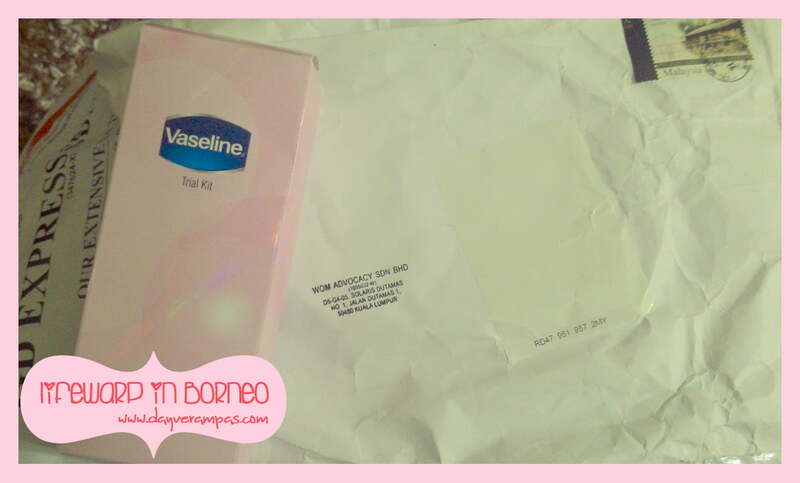 Thank you for this sample kit, Vaseline Malaysia. I received this kit a month ago, and give it a try for 4 weeks just to see the result. 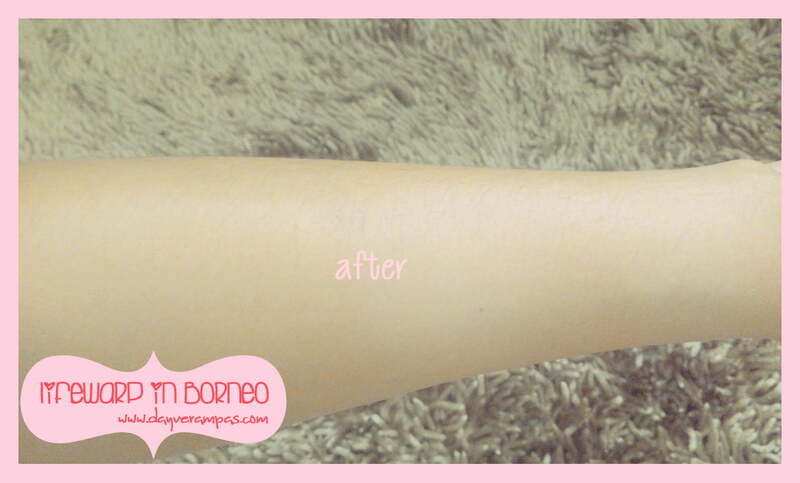 Evenly apply the cream on cleansed skin. Apply twice daily all over body for best results. 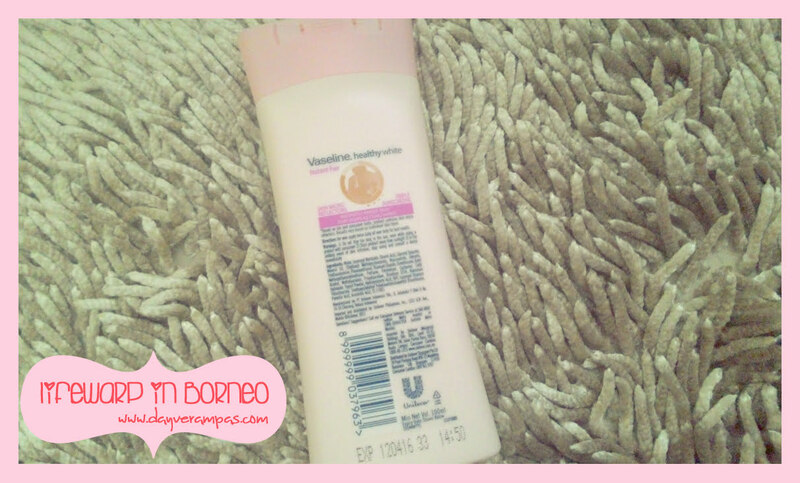 The Vaseline Healthy White Instant Fair Lotion has a quite great consistency (not thick), and in pinkish colour. I must say I love to see the pinkish colour, and it also has a nice scent. Lovely. 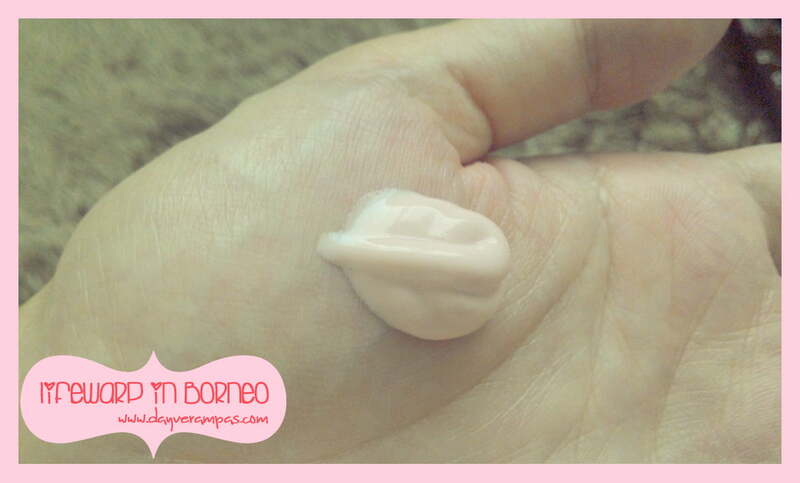 As I applied it onto my skin, there’s not a single oily or greasy feeling which you usually get from other body lotions. This lotion, however, leaves my skin with a very light, and silky skin after every application. Due to its thick consistency, you will need to take a few seconds to have it fully absorbed into your skin. It also doesn’t give my skin that itchy feeling as I always feel itchy whenever I apply sunscreen-based lotions. Just apply an ample amount of it. You can see that it does not have thick consistency, but you still need to spend a few seconds to have it fully absorbed. 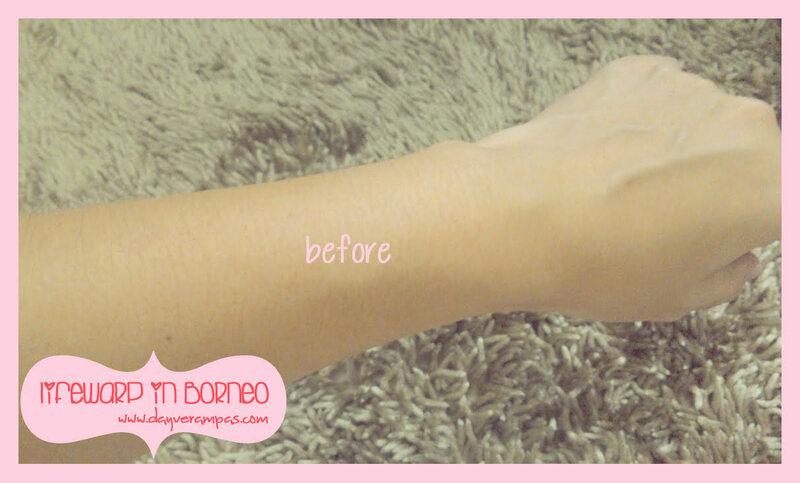 After application. Can you spot the difference? I can see the difference after application, and Vaseline is right in claiming that the Instant Fair body lotion does make your skin look fairer and more radiant at once! It gives my skin feeling hydrated without leaving a sticky residue. Instant fairness? Yes! Vaseline doesn’t lie! It is an amazing skin protection from aging and to keep your skin fair as it has ingredients that block UVA and UVB from your skin. The instant brightening effect on the skin is because the lotion contains iron oxide and titanium which act as illuminating minerals that gives the appearance of instant radiance. It comes in 3 different sizes, and pretty affordable! The lotion wears out after a few hours under the sun. I have to re-apply the lotion every hour. I must say it would only be perfect for those who do not regularly exposed under the sun. 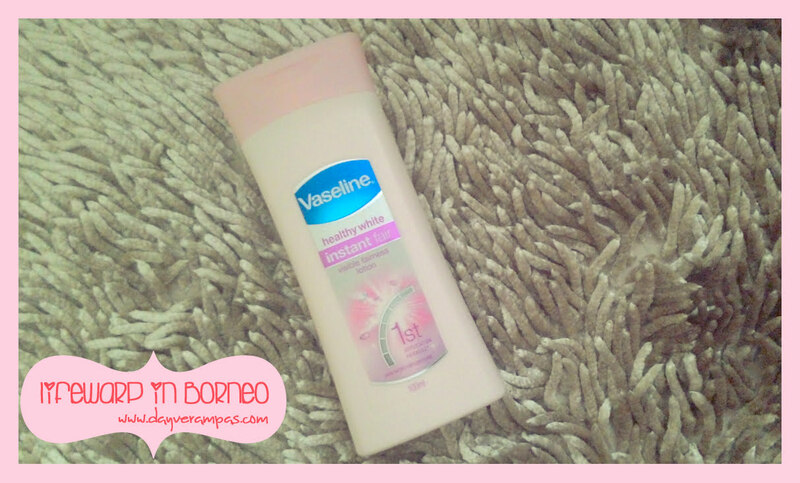 This is my favourite body lotion from Vaseline. I will surely buy this again! Perfect for my dry skin. Thanks for this great product, Vaseline! I’d suggest you to buy from Watson’s Online Store so you can always collect points from Watson’s. Get yourself a Watson’s Loyalty Card to enjoy lots of benefits being part of them! Rewarding!